Draft: 2012, Tampa Bay Rays, 34th rd. Ryan Patrick Garton…resides in Trinity, FL…father, Ed, appeared with the Little Falls Mets of the New York-Penn League in 1981…his grandfather, Ed Garton Sr., pitched for two seasons in the Pirates organization…played 4 seasons (2009-12) at Florida Atlantic. In 35 games with Triple-A Tacoma, was 1-0 with 4 saves and 3.16 ERA (15 ER, 42.2 IP) with 43 strikeouts and 24 walks…held opponents to a .182 (27x148) average…had at least 1 strikeout in 26 of 35 outings…from June 22-Aug. 3, posted a 0.95 ERA (2 ER, 19.0 IP) in 15 games…on the minor league DL, April 26-May 27, with right elbow tendinitis. 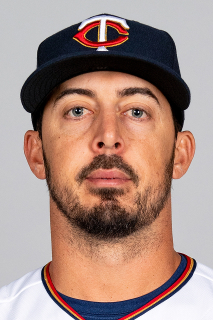 Had surgery to repair his right hip labrum on Oct. 24…was 0-1 with 4.91 ERA (12 ER, 22.0 IP) with 16 strikeouts in 20 relief appearances with Tampa Bay and Seattle…had 1.54 ERA (2 ER, 11.1 IP) with 7 strikeouts in 13 relief outings with Seattle in September…acquired from Tampa Bay in 5-player trade Aug. 6…had three stints with Rays (April 22-30, May 24-28 and May 31-June 10), going 0-1 with 8.71 ERA (10 ER, 10.1 IP) in 7 games…was 2-2 with 4 saves and 2.80 ERA (14 ER, 45.0 IP) with 61 strikeouts with AAA Durham & AAA Tacoma. Made 37 apps over four stints with the Rays in his first major league action: May 25-June 16, June 21-July 14, Aug 2-19 and Sep 1 through season's end…only two right-handed pitchers appeared in more games for the Rays: Erasmo Ramirez (64) and Alex Colomé (57)...Was one of seven Rays rookie relievers in 2016…was 2nd among them in apps behind Enny Romero (52)...Selected in the 34th round of the 2012 June Draft, becoming the lowest-round pick drafted by the Rays to play for them in the majors since RH Chad Gaudin, a 34th-round selection in 2001...Made his major league debut on May 26 vs. MIA…allowed 6 hits, most ever by a Rays reliever in his major league debut (prev. RH Mitch Talbot, 5 hits on Sep 15, 2008 vs. BOS)...Earned his first career win on June 14 vs. SEA, recording the final 2 outs of the 7th inning before Corey Dickerson's go-ahead single in the bottom half of the frame...In a 6-4 loss on June 16 vs. SEA, established career highs with 2.2 IP and 5 SO and did not yield a run…entered the 4th inning in relief of LH Blake Snell...His 4 runs allowed on June 30 vs. DET were the most by a Ray without recording an out since Joel Peralta on April 13, 2012 at BOS (4)…allowed 4 consecutive singles to start the 9th...Earned his first big league save on July 4 vs. LAA, recording the final 2 outs of a 4-2 victory...On Aug 12 at NYY, was the opposing pitcher in Alex Rodriguez's final at-bat as a Yankee…induced a groundout to short in the 7th inning...Pitched his best after the September call up… his 14 apps after Sep 1 tied RH Danny Farquhar and RH Brad Boxberger for the team lead…compiled a 3.55 ERA (12.2-IP, 5-ER)...Spent the remainder of the season with Triple-A Durham, where he went 4-0 with 2 saves and 39 SO in 32 IP. January 24, 2019 Seattle Mariners invited non-roster RHP Ryan Garton to spring training. May 27, 2018 Tacoma Rainiers activated RHP Ryan Garton from the 7-day injured list. April 30, 2018 Tacoma Rainiers placed RHP Ryan Garton on the 7-day disabled list retroactive to April 26, 2018. January 16, 2018 Seattle Mariners invited non-roster RHP Ryan Garton to spring training. October 26, 2017 Seattle Mariners sent RHP Ryan Garton outright to Tacoma Rainiers. September 1, 2017 Seattle Mariners recalled RHP Ryan Garton from Tacoma Rainiers. August 7, 2017 RHP Ryan Garton assigned to Tacoma Rainiers. July 5, 2017 Durham Bulls activated RHP Ryan Garton from the 7-day disabled list. June 21, 2017 Durham Bulls placed RHP Ryan Garton on the 7-day disabled list retroactive to June 18, 2017. June 11, 2017 Tampa Bay Rays optioned RHP Ryan Garton to Durham Bulls. May 31, 2017 Tampa Bay Rays recalled Ryan Garton from Durham Bulls. May 29, 2017 Tampa Bay Rays optioned RHP Ryan Garton to Durham Bulls. May 24, 2017 Tampa Bay Rays recalled Ryan Garton from Durham Bulls. May 1, 2017 Tampa Bay Rays optioned RHP Ryan Garton to Durham Bulls. April 22, 2017 Tampa Bay Rays recalled Ryan Garton from Durham Bulls. March 29, 2017 Tampa Bay Rays optioned RHP Ryan Garton to Durham Bulls. September 1, 2016 Tampa Bay Rays recalled Ryan Garton from Durham Bulls. August 20, 2016 Tampa Bay Rays optioned RHP Ryan Garton to Durham Bulls. August 2, 2016 Tampa Bay Rays recalled Ryan Garton from Durham Bulls. July 26, 2016 Durham Bulls activated RHP Ryan Garton from the 7-day disabled list. July 21, 2016 Durham Bulls placed RHP Ryan Garton on the 7-day disabled list. July 15, 2016 Tampa Bay Rays optioned RHP Ryan Garton to Durham Bulls. June 21, 2016 Tampa Bay Rays recalled Ryan Garton from Durham Bulls. June 17, 2016 Tampa Bay Rays optioned RHP Ryan Garton to Durham Bulls. May 25, 2016 Tampa Bay Rays selected the contract of Ryan Garton from Durham Bulls. April 5, 2016 RHP Ryan Garton assigned to Durham Bulls from Montgomery Biscuits. January 12, 2016 Tampa Bay Rays invited non-roster RHP Ryan Garton to spring training. May 10, 2015 RHP Ryan Garton assigned to Montgomery Biscuits from GCL Rays. April 8, 2015 RHP Ryan Garton assigned to GCL Rays from Charlotte Stone Crabs. April 1, 2014 RHP Ryan Garton assigned to Charlotte Stone Crabs from Bowling Green Hot Rods. September 6, 2013 Bowling Green Hot Rods activated RHP Ryan Garton from the 7-day disabled list. August 31, 2013 Bowling Green Hot Rods placed RHP Ryan Garton on the 7-day disabled list retroactive to August 29, 2013. March 31, 2013 RHP Ryan Garton assigned to Bowling Green Hot Rods from Hudson Valley Renegades. June 14, 2012 Ryan Garton assigned to Hudson Valley Renegades. June 13, 2012 Tampa Bay Rays signed RHP Ryan Garton.